Hosted by the AST Native Connections and MSPI programs, all youth is welcomed to this free, public event. It will be held on Saturday, September 15th from 10:00 AM to 2:00 PM at the AST Health-Shawnee Clinic Multi-purpose Building located at 2029 S. Gordon Cooper Drive, Shawnee, OK. 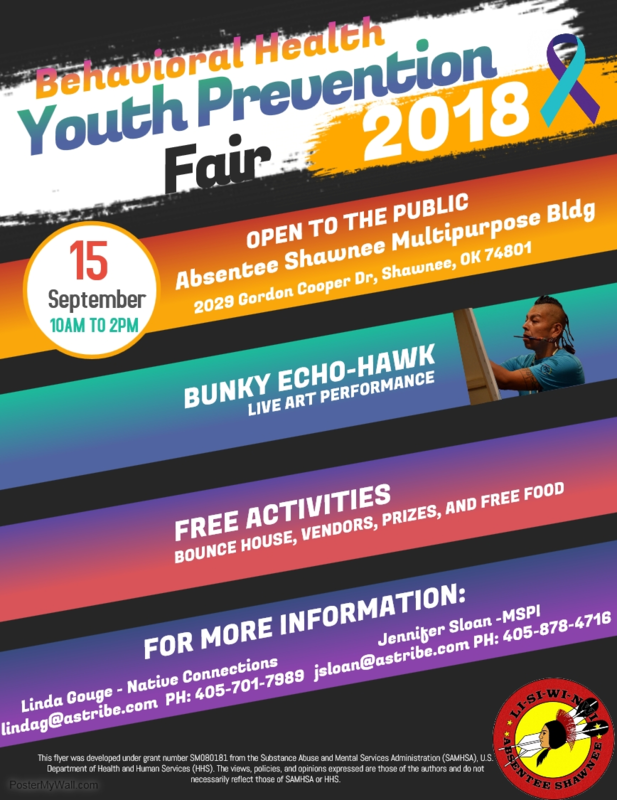 There will be a live art performance by renowed Native American artist Bunky Echo-Hawk, a bounce house, vendors, prizes and free food! For additional information, please call Linda Gouge at (405)701-7989 or Jenifer Sloan at (405)878-4716.